Day and night recreation, five miles of trails maintained year ’round, one of the world’s first International Dark Sky Parks! 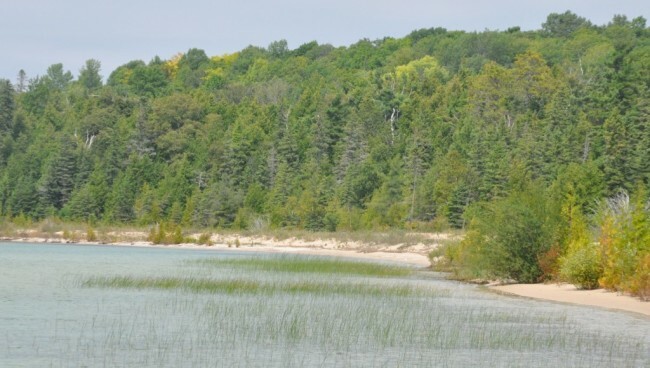 The Park contains approximately 600 acres of pristine woodlands, more than two miles of undeveloped Lake Michigan shoreline and many species of rare and endangered plant life. Visitors to the Headlands may experience sightings of the many wild animals native to the area including: bald eagles, osprey, white tail deer, wild turkeys, coyotes and occasionally a black bear. Marked nature trails guide hikers, bicyclists, cross-country skiers, and nature photographers to experience the park throughout the changing seasons. The Headlands offers one facility for rental by the public. The Guest House provides accommodations for 22 people in four bedrooms on three levels. There are 3 floors with 3 full baths (one per floor), a complete kitchen and a conference area. Linens are provided.